I've never been big on making resolutions. It's way too easy to make a promise at the beginning of the new year and then start kicking myself when I fail to keep it. 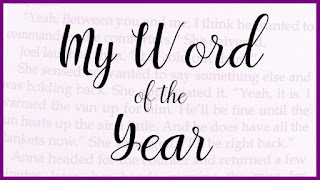 This year, I noticed a number of people doing something different: Choosing a word of the year that they feel describes their goals and hopes. A word that inspires them to aim for something better as they progress through the months to come. So that's what I'm going to do each year from now on. My word of the year for 2018 is "minimize." And I chose this word for a number of reasons. First of all, it is my hope to minimize stress in my life. I've had a lot of that for the last four months or so, and it's definitely no way to live. While I may not be able to control all the situations or obstacles in my path, I can control the way I react to them. We've been renting for the last five years now, and our family is looking forward to purchasing and moving into our own home in the next six months to a year. As I look around the house and imagine packing everything up for the move, I'm amazed at the number of things we've accumulated. Yes, there's more clutter than I'd like. But I'm even talking about the things that still remain in boxes from our last move. Good grief, if we haven't missed them in the last five years, I seriously don't think we'll miss them if we get rid of them now. 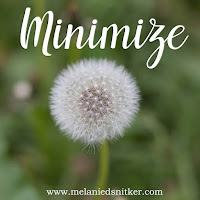 Over the next few months, our plan is to minimize what we have in the house so that we're not putting effort into moving things we no longer use. Not only will this help us when we begin to pack, but it'll make keeping the house clean a whole lot easier between now and then. It's good for me to have goals and expectations for myself. The problem is, there are only so many hours in the day. Last year, I found myself feeling so overwhelmed that I'd get nothing done because I just kept getting more and more behind. If I did anything besides homeschool our kids, write, or work on promoting, I felt like I was slacking in one of the other areas. It got to the point where I didn't think I wasn't doing a very good job with any of it. This year, I'm taking it easy on myself. I've got a dedicated time to write, and a school schedule that's working great. The rest of the time? That's time to enjoy my family and the hobbies I had no time for last year. I've been making a point to put this all into practice, and I've felt more relaxed and better in the last couple of weeks than I had all last year combined. 2018 is a year full of possibilities. I'm looking forward to the prospect of owning our own home again. I plan to get back to simply sitting back and relaxing while reading a good book. I'm looking forward to printing photos and finally putting together those photo albums I've meant to work on for way too long and sharing those memories with our kids. But most of all, I'm looking forward to a much simpler life where I can truly focus on the many joys and blessings instead of allowing the stress to steal them away from me. What are some of the little things that never fail go bring joy into your life? 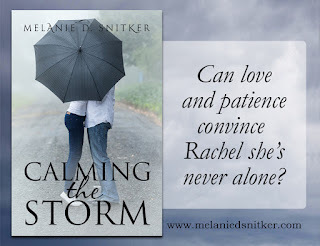 Calming the Storm through February 15th! Enter to Win 8 Autographed Paperbacks! 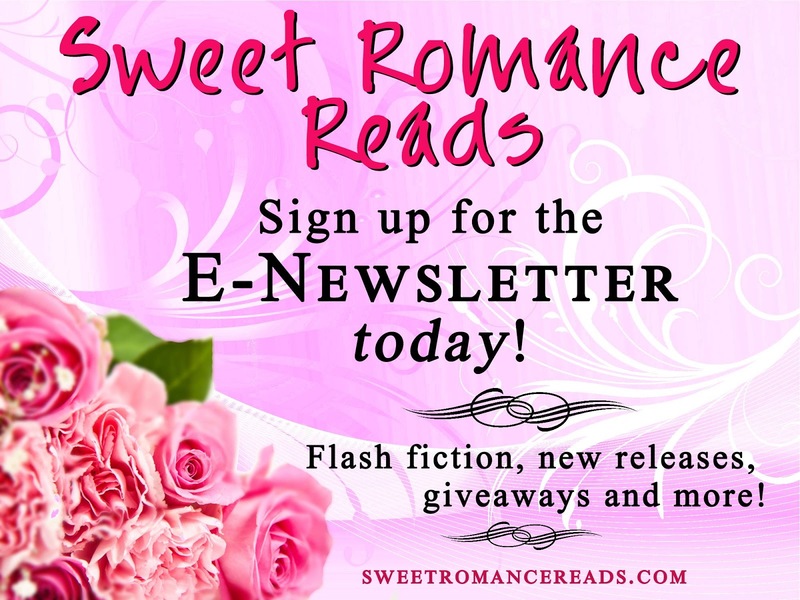 Don't miss out on your chance to win eight autographed paperbacks along with some fun swag, including an audio book and much more! 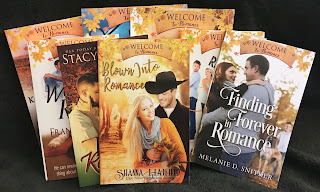 All eight paperbacks were included in the Fall Into Romance collection. Melanie, congratulations on all that's going well for you and your family! Your word of the year sounds as if it's working out great. My word this year, "intention," has also been a game-changer. Thanks, Magdalena. I'm glad your word is doing so well for you as well. I don't know why I had never thought to choose a word before. I'm so glad I did this year! Here's hoping they continue to inspire us in the coming months! Melanie, great word. My word is trust. I want to trust God more this year. Thanks for sharing. I love your word as well, Mary. I hope this year is going well for you so far! 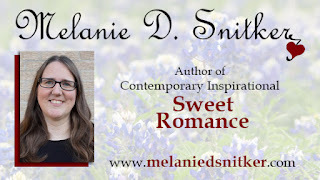 I love your word, Melanie. My word for the year is "simple." Best wishes on your move into your own home, and thanks for the book. Looks great! Thanks, Josie. I love your word, too. Simple is always good! Love the word you chose, Melanie, and the reasons behind it. My word this year is "Blessed." It's so awesome to see so many people with a word for the year. Here's to everyone's success with what it means to them individually. I love your word, too, Shanna. I agree, it's good to see so many people with a word of the year this year! Melanie, I like your word and what you did with it. I made the same decision a couple of months ago. I'm taking it a lot easier this year and it feels great. Enjoy!